After L Ron Hubbard, the founder of Scientology, died the Church of Scientology made an abortive effort to produce an ‘official’ biography. It was written under contract by a non-Scientologist, Omar Garrison but was found wanting, and never published. Hubbard’s collected papers were prepared for Garrison by a Scientologist called Gerry Armstrong who became increasingly disturbed by the disparity between the facts that they revealed and the presentation of Hubbard by the Church of Scientology (for example, the Church presents Hubbard as a “Nuclear Physicist” and “Medical Doctor” despite the fact he no qualifications whatsoever in those fields). Disillusioned, Armstrong made the papers public. They included this document, written by Hubbard around 1947, and variously called his ‘Affirmations’ or ‘Admissions’. In it he admits admits failures which later accounts of his life replaced with accounts of heroism and reveals his anxieties and insecurities. It represents a deep insight into the real character of the man. Secret OT Levels | L Ron Hubbard t. al. These are the materials for the eight ‘Operating Thetan’, or OT levels – completing the instructions in these pages constitutes the highest achievements in Scientology practice. L Ron Hubbard’s handwritten versions are reproduced in these pages. Since this version was published, the material have been split up into a greater number of discrete steps. The Church of Scientology claims that this streamlines the process. Critics suggest that it enables them to charge more money for the same material. Scientologists believe that these texts are kept secret because reading them without being properly prepared is lethally dangerous – for example, Hubbard explicitly warns that reading the OT3 level before being prepared by Scientology study will result in the student dying of pneumonia. The OT3 level is kept secret by Scientology. As can be seen in the document “Secret OT Levels” OT3 relates the “Xenu” story. Hubbard himself claimed that the reason for this secrecy is that anyone who reads the OT3 materials without proper preparation (by Scientology) will die of pneumonia. This claim is part of Scientology doctrine. 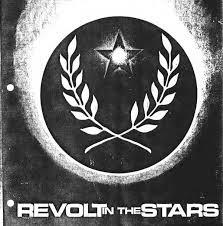 After the success of the original “Star Wars” film in 1977 Hubbard saw an opportunity to exploit the renewed interest in Science Fiction by producing his own screenplay, entitled “Revolt in the Stars”. Somewhat inconsistently, this screenplay recycles the Xenu story. Hubbard failed to sell his screenplay (readers can judge why) and this inconsistency did not become a problem. However, the fact that he was prepared to release a ‘secret doctrine’ in a mass-market film brings his previous statements into question. This is a recording from “Ron’s Journal”. 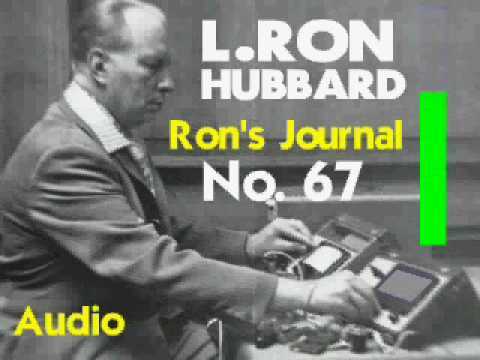 This was an internal periodical which consisted of topical recordings and writings created by L Ron Hubbard and aimed at practising Scientologists. This entry dates from a time when Hubbard was in hiding, fearing arrest for his part in organising “Operation Snow White” (a huge Scientology operation to infiltrate organisations perceived to be hostile to Scientology). This included psychiatrists and the US government. At this time, “Ron’s Journal” was Hubbard’s only line of communication with the rank-and-file of the organisation. Note: the image above shows a cover of an audio version of Version of “Ron’s Journal” – this is not the issue that contained this recording, and is for illustrative purposes only. This file is important because it confirms the existence of Operation Snow White, in Hubbard’s own words (even if it doesn’t mention it by name). Also, it contains the ‘secret’ OT3 story… again. Released in 2009 this file include the full set of US Freedom of Information Act disclosures, parts 1-8, from the Federal Bureau of Investigations records (1943-1993) on the founder of Scientology regarding L. Ron Hubbard and the organization he created. It includes letters which Hubbard wrote to the FBI in which he tried to take advantage of the communist witch hunt to persecute perceived enemies by making unfounded accusations against them – and the terse opinion of an FBI agent who read many of his letters… “Appears mental”. Partial excerpts of this information have been released by media outlets in the past, but the full release was only readily available by commercial resale. The ‘Introspection Rundown’ is Scientology’s ‘treatment’ for a psychotic break. It consists, basically, of locking a person away and not talking to them until they calm down. This procedure was tragically applied to Lisa McPherson a Scientologist who suffered a psychotic break and was subjected to an ineffective ‘isolation watch’, as laid down by Hubbard in the ‘Introspection Rundown’ document. 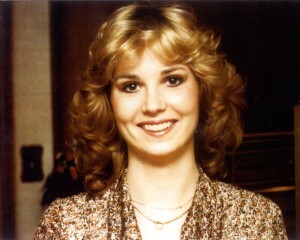 Critics argue that, despite the fact that this treatment was demonstrably not working, the Scientologists who were trusted with her care continued to apply it until her condition deteriorated and her life was (at the very least) at immediate risk. Only then did they seek emergency medical care. Lisa McPherson died, and her body showed evidence of extreme physical neglect. This is the handbook issued to Scientologists who are being ‘trained’ to perform ‘assists’ (for example the ‘touch assist’ seen in the image). These are techniques which are officially claimed only to “alleviate physical pain and discomfort”. Unofficially, however, miraculous cures are routinely attributed to ‘assists’ . “[…] the ‘Bring Back to Life Assist’ which has been successfully used to revive a person who has literally left his body for dead”. A child being treated in hospital for “[…] an obsessive nosebleed […]” (whatever that is). This curious ailment was not only cured but , “The assist actually saved the girl’s life”. Someone “too weak to stand” was “cured” in six minutes. A man cured of depression after the death of his wife. The founder of Scientology, L Ron Hubbard was obsessed with the possibility of betrayal. As a result, Scientology developed a formal system of institutional scrutiny and surveillance. 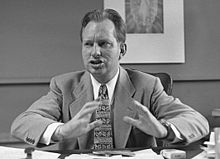 Tellingly, Hubbard demanded that Scientologists not only behaved according to his rules, but also that they policed their own thoughts – having negative thoughts about Scientology (or its founder, or its management) was, and still is a punishable offence. 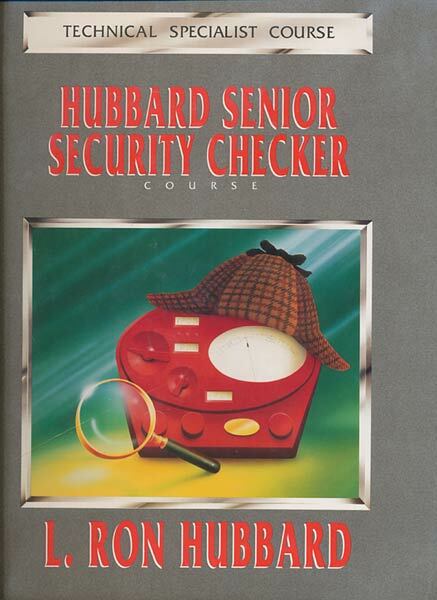 It is a matter of faith among Scientologists that “The Tech” (the techniques of Scientology developed by Hubbard) always and without exception works. If an organisation fails (for example by not meeting its sales targets) it is assumed that someone on the staff is sabotaging it, and Security Checks (AKA Sec Checks) can be used to ferret out the offenders. In such a case suspects are read a list of questions, which are read out while connected to an e-meter. Disaffected Scientologists state that believers are convinced that, when they are connected to an e-meter, that the operator can interpret the needle movements in such as way as to discern their inner thoughts. Innocence is no protection. Since Scientology always works, you must have done something wrong, or you would not be undergoing a Sec Check. Worse yet, offences that were committed in previous lives can supposedly be detected by the e-meter. In practice, the accused almost always makes some form of confession (which is recorded and may be used against them, should they leave Scientology). PS: The racist, sexist and homophobic nature of many of the questions has to be seen to be believed. 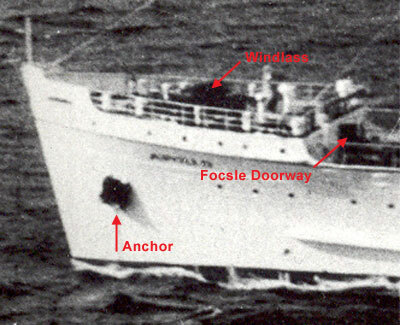 This is a scan of an annotated Sea Org training manual dating from 1990. The “Sea Org” is a strange organisation. It has no official existence within the maze of corporations that constitutes the Church of Scientology, but nevertheless constitutes the highest executive level. Although they wear elaborate pseudo-naval uniforms, and perform military ceremonies, the Church characterises them as a religious order and their pay (after room and board) is $75 – usually less. Although they belong to the highest executive order, they can be ordered to perform years manual labour for the purpose of ‘spiritual rehabilitation’. And the ‘Rehabilitation Project Force’ has been characterised as operating a network of labour camps which violate human rights legislation. Controversially, Sea Org members sign a contract promising a billion years of service (by returning to their posts after reincarnation). This includes young people, who are actively recruited and assured that Sea Org membership is a superior alternative to higher education. ‘Auditing’ – that is, the one-on-one process of neutralising the supposedly long-lasting effects of traumatic memories suffered in this life (and later, also in imagined past lives) which Hubbard claimed to have psychotherapeutic and medical benefits. Practices that are supposed to enhance the ability to study, such as word clearing and clay table demonstrations. The use of the e-meter. Critics note that this simple electrical device merely measures the electrical resistance of a persons skin. Scientologists believe it measures thought and can be used, with the correct training, to read minds and detect lies. Some information about secret ‘OT’ levels. In a previous post, I provided links to “The Red Volumes or “Technical Volumes” number of bound books which contains all of the modifications Hubbard made to his ‘self improvement’ teachings over his lifetime. Today, I offer the “Green Volumes”. These books are printed in green ink on white paper, and bound in green covers. They contain all of Hubbard’s occasional writings about administration and management, which are referred to as HCO PL’s (“Hubbard Communications Office Policy Letters”). 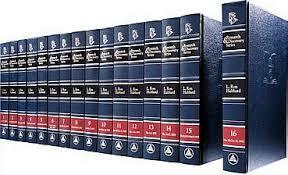 Doctrine requires Scientology organisations to be run according to the administration procedures that are set down by Hubbard in these volumes. These are believed to a distillation of the best administrative systems that Hubbard ‘researched’ during previous lives which, if properly applied, can never fail. The Blue Volumes of Scientology ‘doctrine’ are (unsurprisingly) bound in blue covers similar to those of the Red and Green volumes previously posted. They are presented by the Church as a chronological record of the ‘research’ and discovery processes which supposedly led L. Ron Hubbard to formulate Dianetics and Scientology. In actual fact, when read alongside a reliable account of Hubbard’s life, they chronicle the way in which his ‘doctrine’ did not develop as a result of scientific inquiry at all. Rather, policies were issued to control, perceived, motivate members, and maximise Hubbard’s personal wealth and power. These files are scans of copies of “Impact” magazine, which is distributed to all members of the “International Association of Scientologists” (IAS). Officially all Scientologists who are ‘qualified’ as auditors must be IAS members – if their membership ever lapses they must re-qualify at considerable expense. Preserving these magazines is important, because they record statements made by the Church of Scientology which they would now rather forget – and have made strenuous efforts to suppress. Read the full post, for the story of Mike Rinder (who appears in the image on the left) which the Church has tried to suppress. I recently came across a large number of .pdf documents – scans of a Church of Scientology periodical called “The Auditor” that more-or-less cover the period from 1966 – 2000. Providing you have adobe acrobat, or a similar program, installed on your computer, you should be able to read these ‘newspapers’ as easily as an eBook. With the correct application installed, they can also be viewed on tablets. “The Auditor” was a monthly Scientology newspaper, which was distributed to members of the church worldwide. As you can see from the image to the left, it was an old-fashioned monochrome publication on newsprint. These files represent a primary source for claims made that the Church of Scientology has made over the last 30-odd years. Most copies were released when it was still led by its founder, L Ron Hubbard. Click this link to go to the main article for extracts from these files – and links enabling you to save and view them – one at at time, or all in one download. In 1966 L Ron Hubbard, the founder of Scientology, began to buy a number of Ships. Not long after, he took to sea as “Commodore” of his own private navy. This was staffed by members of the newly-formed “Sea Org” – unqualified Scientologists who were nevertheless expected to crew a sea-going vessel. “The Commodore” controlled every aspect of these voyages, and of their lives. This included the issue of a sailing manual which was constantly amended and expanded by “Flag Orders”. When Hubbard returned to land, “Ship’s Org Book” stood at five volumes. Go to the main article to download and view these books. Scientologists called “Registrars” are tasked with selling courses. 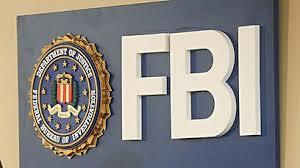 Before they can begin this work, they are required to study a number of documents, prepared by Hubbard, including, “The Hard Sell Pack”. This is a truly astonishing work of self-serving sophistry and misdirection. Like the previous post, “The Ship’s Org Book” this document is a loose connection of Hubbard directives, this time on the subject of selling Scientology services. 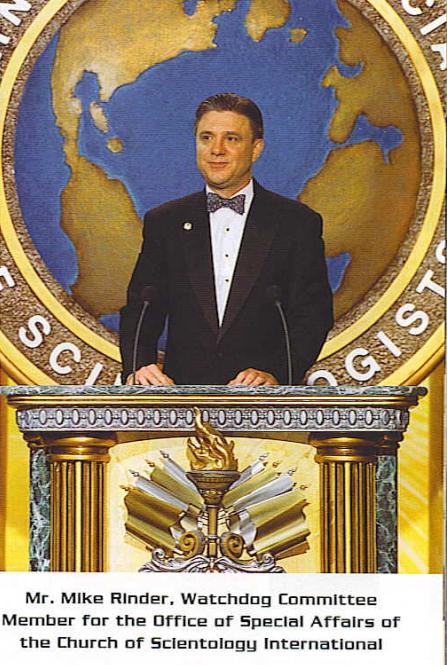 Hubbard’s basic argument throughout is that Scientology is on a vital, time-critical, mission to save the planet. Since it is also under siege by corrupt bankers and tax-seeking governments, it needs to make money and bring in new recruits. This mission is so important, not normal ethical restraints do not apply – the ends justify the means. yet the links at the top do not work! One of the links on the page you refer to (L. Ron Hubbard’s Affirmations / Admissions) was indeed broken – this link led to a webpage containing the ‘admissions’ which had been taken down. ‘Link rot’ is an occupational hazard of maintaining a site like this. This is why I save materials and make them available by other means (in this case as a .pdf file). The other link (download as .pdf) was still working. To take your own copy of the files you only have to click on this link and then the ‘Download through your Browser’ link that will appear in a new tab. I have restored the broken link which now goes to a webpage written by Gerry Armstrong (the man who made this document available to the public) and includes his description of how and why he made the the ‘admissions’ public as well as the text itself. Thanks for pointing out the broken link. If you find any more, I would appreciate it you told me about those, as well. Thanks for providing this treasure trove of information and analysis. I could not find a link to the post on Mike Rinder in the “Scientology’s Impact Magazine (8 Issues) Saved from the Memory Hole” section. I’ve checked, and Rinder’s picture is in issue 102 for Dec 2002. You can download them all by using the links at the top of the page. I don’t know what you mean when you say “a link to the post on Mike Rinder”. I provided a link to the home page of Rinder’s blog is all. However, if there’s any thing you’re looking for please be more specific and I’ll try to sort it. > I don’t know what you mean when you say “a link to the post on Mike Rinder”. The bottom paragraph of the “Scientology’s Impact Magazine (8 Issues) Saved from the Memory Hole” section of the “Secret Scientology Texts and Media” page begins with, “Read the full post, for the story of Mike Rinder…” I was expecting a link to a “full post” about Mike Rinder. > I provided a link to the home page of Rinder’s blog is all.